FRANKFURT, Germany – Since the introduction of its first JamMan, HARMAN’s DigiTech has set the standard in looping pedals. With the introduction of JamMan Express XT Compact Stereo Looper/Phrase Sampler, DigiTech makes high-quality looping more affordable than ever at an unprecedented price of $149.95. Though it’s the size of a standard stompbox, JamMan Express XT offers a host of capabilities including up to 10 minutes of stereo looping time and DigiTech’s exclusive JamSync feature for synchronizing multiple JamMan pedals. The JamMan Express XT provides an Auto Record function that arms the pedal for recording – just start playing and JamMan Express XT will automatically start recording a loop. The JamMan Express XT can be operated using a 9-volt battery or its included power supply. Measuring just 4.4 x 2.3 x 1.8 inches, the JamMan Express XT fits easily on any pedalboard and its rugged metal case is built to take the rigors of the road. 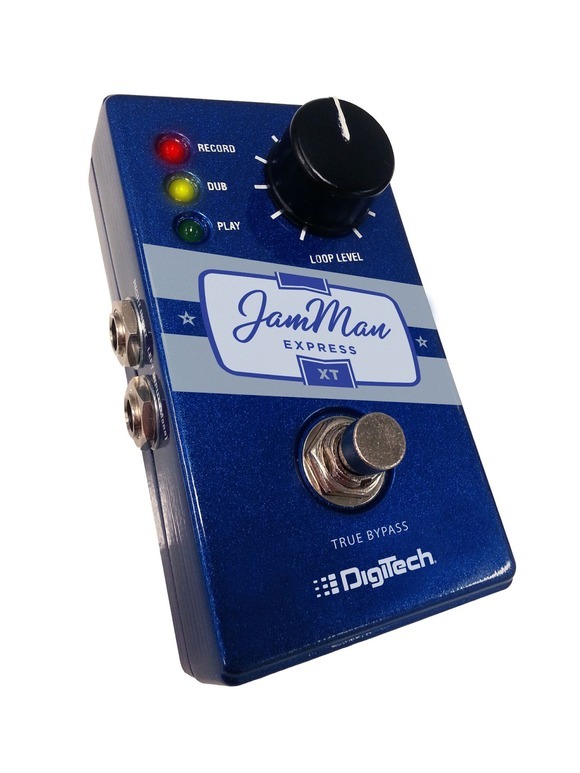 The DigiTech JamMan Express XT will be available in August 2013 at a suggested retail price of $149.95.